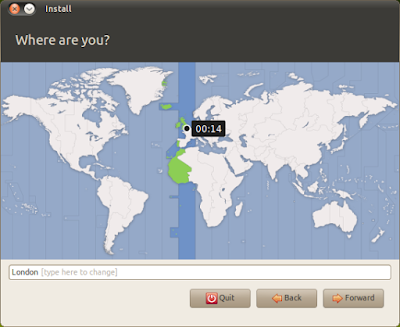 Redesigned Installer lands in Maverick - OMG! Ubuntu! The first drop of the newly redesigned Ubiquity installer for Ubuntu 10.10 has landed in Maverick. 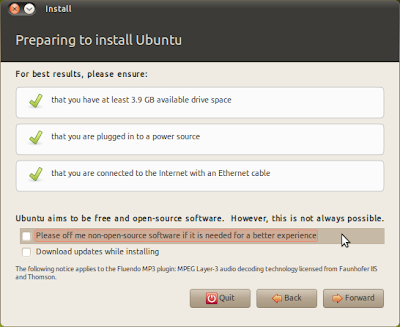 We have previously blogged about the changes proposed for the Maverick installer but this is the first time that the new design has been available for testing. Almost every aspect of the installer benefits from a visual retouch and, on the whole, the step-by-step run-through seems to feel quick, un-complicated and reassuring – all great traits for new users to be greeting. Particularly worth mentioning is the fantastic new ‘prep’ screen that displays prior to actual installation. Here users are able to not only check that they meet requirements but are also able to check a box during installation to provide non-open-source software. The installer is still a WIP so the screenshots above do not equate to the final product that will bound on to your screen come October. 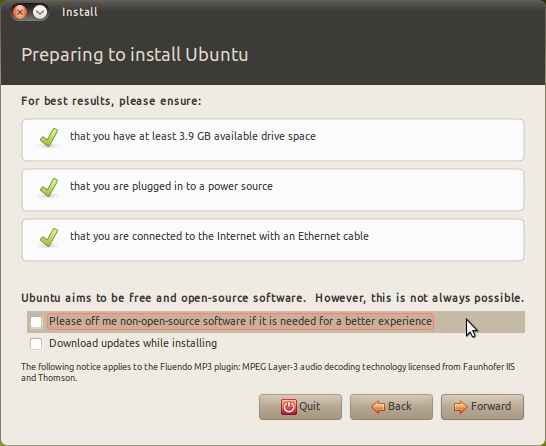 What they do show us is that Ubuntu, once again, has raised the bar for user experience.